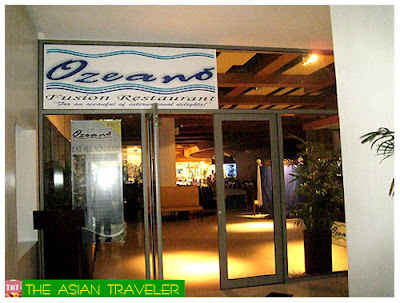 NdL treated us for dinner as a post-birthday celebration at Ozeano Fusion Restaurant located on the second level of Manila Ocean Park. 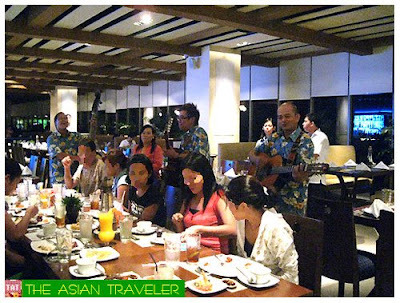 Two days before the scheduled date, I made a reservation for four on a Saturday night and asked to be seated over-looking the panoramic Manila Bay. When we arrived, we were ushered immediately to a nice and huge window-side table with comfortable cushioned couches. The place was not packed; there were only few guests at that time, perfect for a nice dinner and conversation. 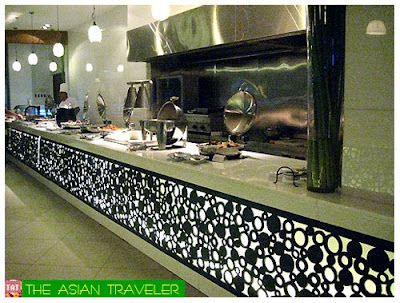 Guests can choose either A'la Carte or buffet dining with fusion of Asian, Western and Mediterranean cuisines. 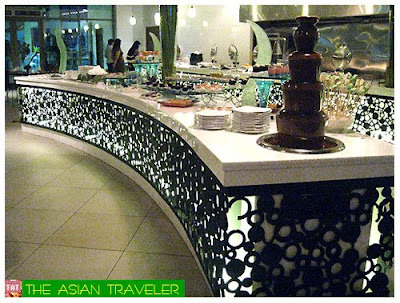 We opted for the buffet dinner Php 595.00 per adult and Php 395.00 per child. 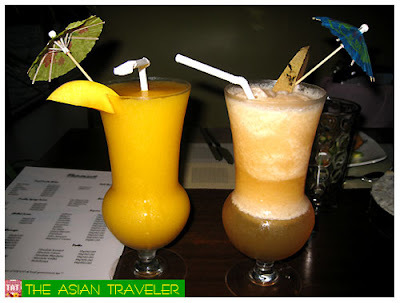 For beverages, they have fresh fruit shakes, chilled juices, liquors, rums and vodka. 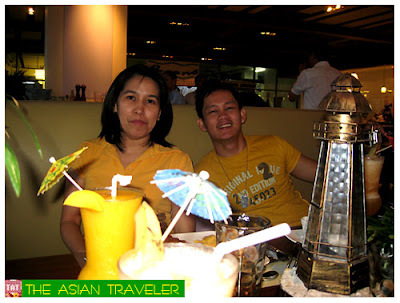 The four of us settled for the frothy delicious melon and ripe mango shakes Php 150.00. 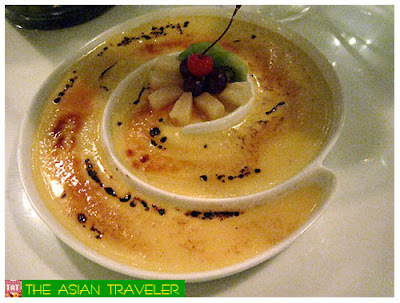 For the main entree dishes, there were only few interesting varieties of food and some were quite bland. We also got confused of the assortments of some food that were not neatly tagged. 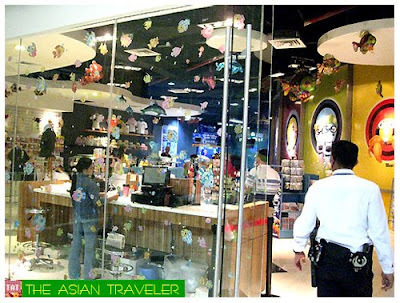 For Japanese fare, they have the Sushi and Sashimi bar. 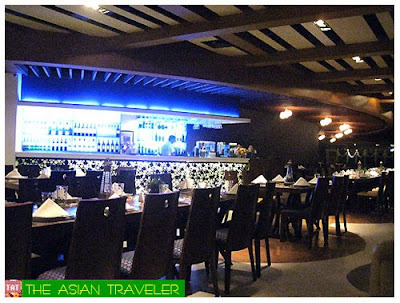 Aside from the dining area, it has a cozy bar section with extensive wine list. The design features casual and contemporary-chic. 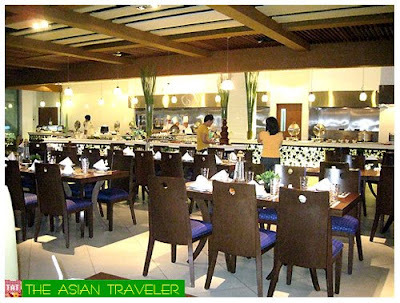 It provides exceptional dining in a homely and friendly atmosphere. 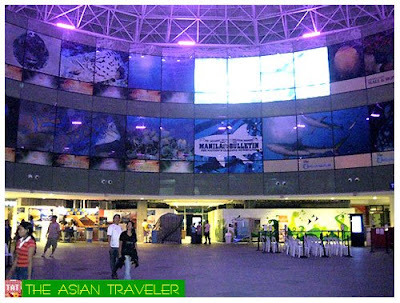 The only downside is that the restaurant itself is stuck between a souvenir shop and an exhibit/activity hall. Please be warned that there are a lot of passersby during peak hours all moving to and fro inside the dining area. It can be a little disruptive and bothersome at times while having your meal. This kind of sight would make any classy-looking restaurants appear mediocre and inferior. I don't know if this is only a temporary route since the construction work is still in progress in some parts of the park. Nevertheless, I hope they'll do something about it. 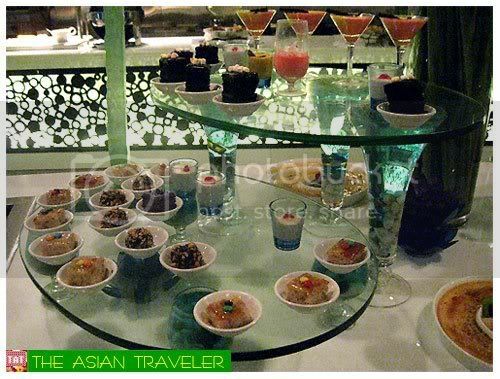 Overall, the main entrees are not memorable but the desserts are the best food up for grabs! 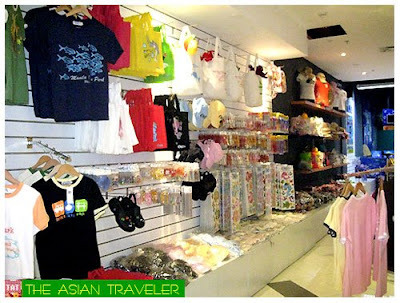 It's a good place for large groups, families and special event. 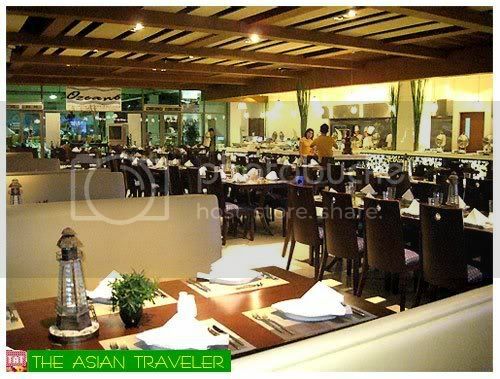 The restaurant specializes in fine catering for all occasions such as weddings, dinner parties and corporate events. Dinnertime starts at 5:30 pm and closes at 9:00 pm. 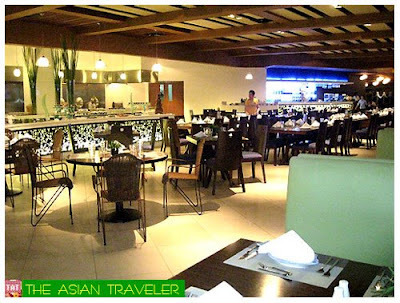 Ozeano Fusion Restaurant is owned and operated by Tamayo's Ozeano Philippines, Inc. It is open for lunch and dinner seven days a week. 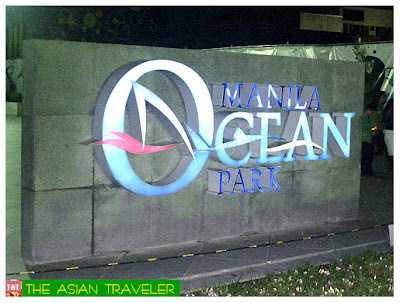 It is located at Level 2, Manila Ocean Park (behind the Quirino Grandstand), Luneta, Manila, Philippines. You may contact them at 567-7779. Please note that the comments expressed herein are solely my personal views which are based on my experience. Very nice cozy place to have a meal. Yummy food too. Your blog is lovely with full information. Thanks for sharing. di kaya ng budget.. mamumulubi ako jan. hehe. 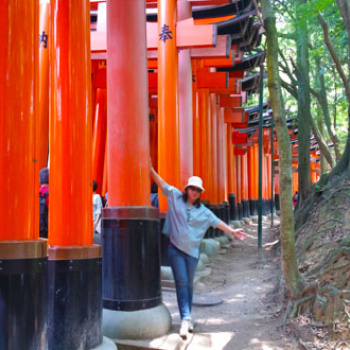 sightseeing will do but maybe ill opt to eat in turo-turo sa kanto. but the place is nice. thanks for the info's, nice place very classy..